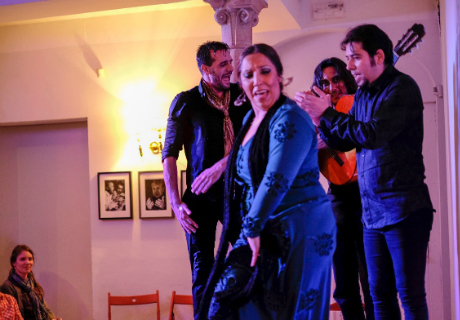 Casa del Arte Flamenco is located in the city of Granada only a few meters away from the Plaza Nueva. The plaza is the center of activity in the historic district situated at the foot of the hills leading to the Alhambra and Albayzín quarter, making the venue's location easily accessible on foot from almost any part of the city. 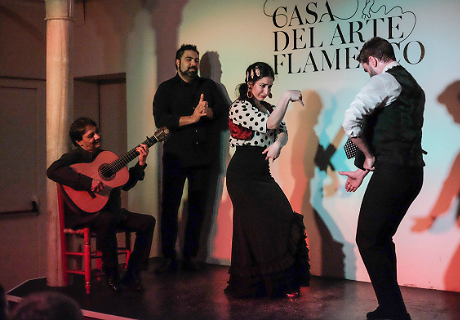 Casa del Arte flamenco hosts two nightly flamenco performances with regionally and nationally recognized artists. 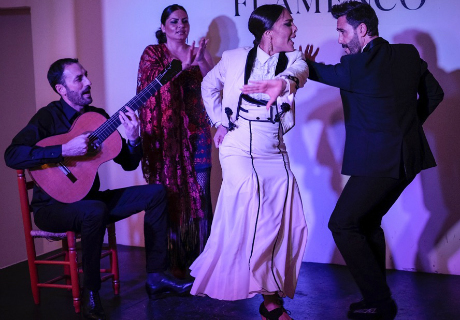 The show of approximately one hour features vocals, guitar and dance with four performers covering a range of flamenco styles. 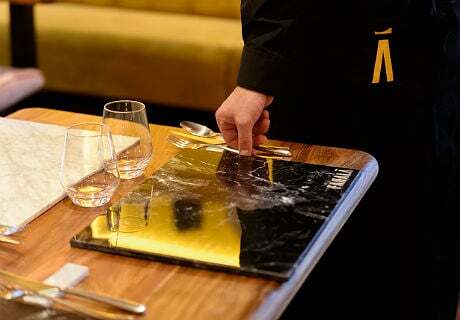 The venue is purely for the flamenco spectator: the focus is always on the audience experience as meal service ends before the start of the show. 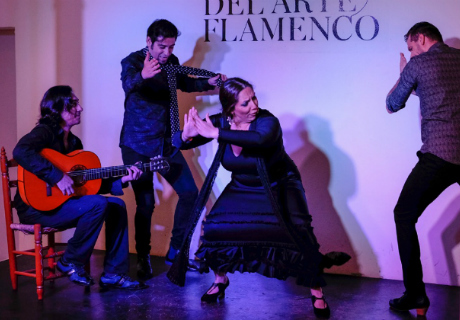 For private groups the venue can offer special services upon request for conferences, events and a range of flamenco related cultural activities. There is an excellent rotation of regular performers, the majority of which come from the province of Granada. Adrian Sanchez (dancer) has performed across Europe as well as in some of the most important theatres and festivals in Spain. Guitarist Alfredo Mesa and dancer Ana Cali are from the towns of Maracena and Motril respectively. From a very early age both perfected their talents within Granada's close knit community of flamenco artists. 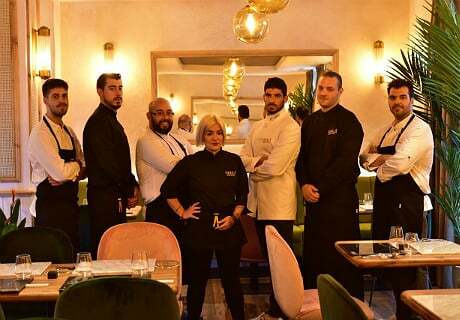 The owner's extensive ties to the flamenco scene in the different provinces of Andalucia brings in many performers from outside Granada. Dancer Jose Nuñez comes from a family of established flamenco artists in the town of San Fernando (Cadiz province) and has toured Spain and Europe. 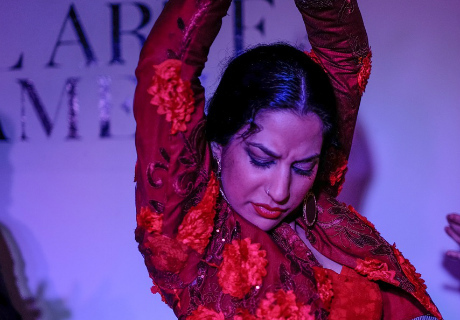 Carmen González hails from the city of Malaga and studied flamenco and choreography at the Conservatorio Superior de Danzas.